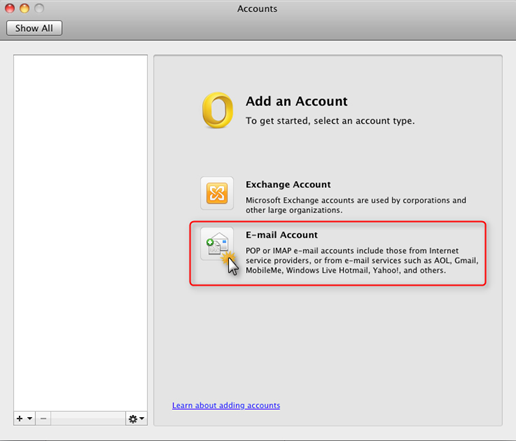 To access your email through Outlook® 2011 for Mac®, add an account with the settings outlined below. While the exact steps might differ from version to version, you can use the settings listed here to set up other versions of Outlook as well. On the Enter your account information page please entre the below information. 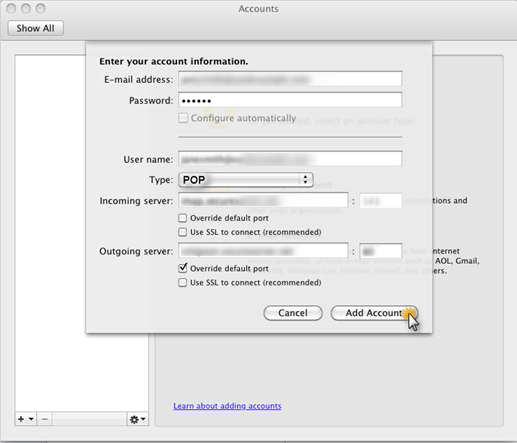 Select your server type and enter your Incoming POP or IMAP Server. 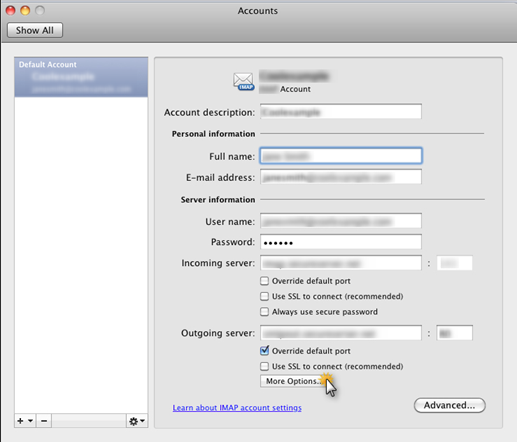 This is the information can be found in you cPanel under Mail > Email Accounts > More > Configure Email Client. NOTE: Click Override default port to change the default port. 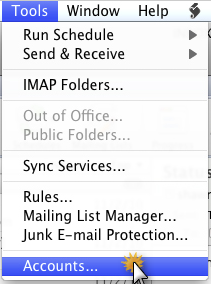 Select your server type and enter your Outgoing POP or IMAP Server.